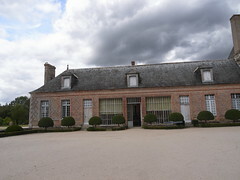 Typically a Chateau (which is a word from the French language) is either a modern luxurious manor house or can be an almost archaic historic house. Getting married in a French chateau is possibly the closest cultural equivalent in France to what it would be to get married in an English castle. Quite often Chateau’s which are described as grand manor houses have belonged or still belong to nobility and are passed down the bloodline. They are often then rented out for the day to be used for a wedding in a grand location. There are many wedding packages available online varying in price greatly to cater for small to big budgets. Simply Chateau is a link to one of the leading chateau rental websites on the internet. 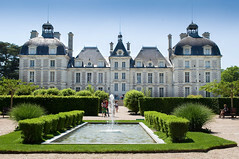 Clicking the Simply Chateau link will take those interested to information on getting married in a luxurious French chateau and staying for the night with friends and family. The facilities across many of the chateau’s vary with most Internet access being very basic. The majority have recreational activities such as swimming and tennis available. Also being France wine tasting is a popular cultural experience that is available at many of the chateaus and most bedrooms tend to be en suite. There is a big market for wedding packages at French chateau’s especially due to the large number of grand chateau’s that have been made available in the modern day for special events such as weddings. For those wanting to have the day as stress free as possible there are many chateau’s which have a specific wedding planning service. These can be a bit like an expensive pick and mix where you can choose for example to have a DJ or a four string quartet. Rather than planning the majority of the organising, an experienced team can manage planning including aspects such as flowers, wedding favours, food, entertainment, etc. These organizers have planned weddings at their grand venue numerous times. The Chateau la Durantie is a good example of a grand chateau which offers a wedding planning service. Their personal website says they have over a decade organised more than 200 weddings and this is just one of the grand French chateau’s offering this service. One of the popular places in France for chateaus is the Loire Valley which contains more than 300 chateaus to choose from. Chateaus have been built there between the 10th– 20th centuries. The more vintage the chateau is then the more likely it is that the chateau was built by nobility. An important aspect to remember when it comes to getting married in France are the legal aspects of marriage. In addition it needs to be remembered that under French law the religious marriage ceremony cannot take place until there has been an official civil marriage. Also one of the two getting married needs to have resided in the town where the marriage takes place for at least 40 days prior to the day of the wedding. A marriage under French law is still very much recognized as legally binding in the UK.